Winship Cancer Institute of Emory University and the Emory University Division of Cardiology announce the formalization of a cardio-oncology program to care for the heart health of cancer survivors. The joint effort, initiated three years ago, is one of the few programs in the United States dedicated to addressing the cardiovascular side effects of cancer therapy and improving cardiovascular outcomes for cancer survivors. Although chemotherapy and radiation therapy have led to dramatically improved survival in cancer patients, some of these therapeutic agents can increase a patient’s risk of heart problems. The proactive approach of the multidisciplinary Winship at Emory Cardio-Oncology Program is to provide care to patients in varying stages of cancer treatment who have or are at risk for developing heart disease. The specialty cardio-oncology clinics provide collaborative evaluation and care of cancer patients by both Emory cardiologists and Winship oncologists. The clinics offer expert advice and guidance for patients who are either undergoing or have completed cancer treatment, or are being followed in the Winship survivorship program to prevent, monitor and manage cardiovascular side effects and complications. Walter J. Curran, Jr., MD, executive director of Winship, welcomes the formal establishment of this program. "Improving the quality of life for cancer patients during and after treatment is an important goal of our physicians and researchers," says Curran. "This novel program enables us to accomplish this in an entirely new realm." 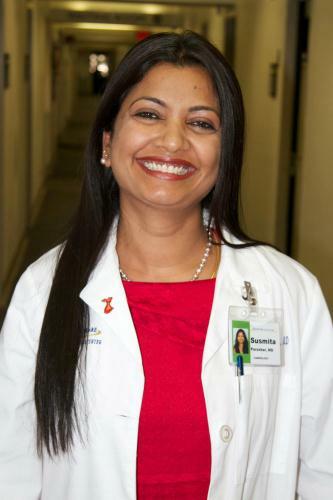 The development of the program has been guided by Susmita Parashar, MD, MPH, MS, a cardiologist at the Emory Heart and Vascular Center and associate professor at the Emory University School of Medicine. Parashar says the program fills a crucial need. "Our goal is to help patients complete their cancer therapy and to care for patients in every stage of cancer treatment to minimize cardiovascular side effects and maximize cardiovascular outcomes," says Parashar. "Cancer survivors may have traditional risk factors for developing heart disease. If patients are at risk, or have developed cardiovascular disease, our mission is to provide them the highest quality of care. We want them to know that they are not alone." The Program will be directed by Parashar and co-directed by Winship oncologists Christopher R. Flowers, MD and Natia Esiashvili, MD, and Winship Survivorship Program Director Joan Giblin, NP. The Winship at Emory Cardio-Oncology Program is an extension of a survivorship research grant which evaluated the long-term cardiac issues for lymphoma survivors. The survivorship research grant was funded through the Kennedy Seed Grant Research Awards Program, made possible in 2009 by a generous gift from Sarah and Jim Kennedy. The program utilizes a multidisciplinary, patient centered approach to cardiac issues and includes specialists from the Division of Cardiology, the Nell Hodgson School of Nursing and Winship. Visit our Winship at Emory Cardio-Oncology Program web page for more information.